Louise is a brave, fearless, feathered chicken. Yes. Chicken. 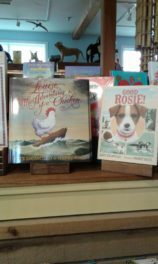 Share the post "Louise is a brave, fearless, feathered chicken. Yes. Chicken."